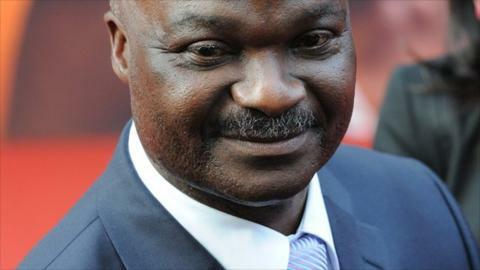 Roger Milla believes poor management has led to Cameroon losing their status as a continental superpower. The former African champions have been in freefall for some time now, tumbling down the Fifa world rankings to an all-time low of 66. The Indomitable Lions were also absent from the 2012 Africa Cup of Nations - a tournament they have won four times. Milla told BBC Sport that the team's decline is a microcosm of the problems facing Fecafoot - the body responsible for running the game in the country. "We need to change the present situation in Cameroon football in which certain people have taken the team hostage," Milla said. "A new approach to the way the team is run is needed to give opportunities to new players," he added. The former Indomitable Lion said unless changes are made at the top of Cameroon's football pyramid, the national team will continue to struggle. He said that football is such an important feature of Cameroonian life that the problems affecting the administration of the sport need to be resolved urgently. "There is a system where players are selected on sentiment; if a player is not in the good books of the federation, then he's not called to the national team. "We must select competent players to inject new life in the team and turn things around. "I want an impartial federation; some of the people in office should quit and make room for competent persons capable of change," said the 1987 African Footballer of the Year. Milla, who took the 1990 World Cup finals by storm, has often clashed with football authorities in his homeland, accusing them of hindering progress.